No fees. No Monthly Payments. Pay only if you WIN your case. The concept of pre settlement funding, which may also be referred to as lawsuit settlement funding and numerous other terms, is relatively simple to understand. A plaintiff involved in a certain type of lawsuit can actually get pre settlement funding through a third party company prior to the expected settlement for his or her case. With pre settlement funding you don’t have to wait the many months or years before the case settles and payment is made through the court system to receive a portion of the money that you are entitled to. The nice thing about pre settlement funding is that you can actually get 10-20% of your expected settlement from the funding company and this is considered to be your money. And, in the event you do lose your case, you won’t have to pay back one red cent of your pre settlement funding to the funding company either! With pre settlement funding, you don’t pay any fees or monthly payments to receive this money either. The only way you pay anything is if you win your case. If you do not win your case, the reason you don’t have to pay anything back to the pre settlement lawsuit funding company is that the money you received is classified as a non-recourse debt. So the pre settlement funding company cannot come after you through the court system or in any other way to try and recover that debt like a credit card or mortgage company could for money loaned to you. The pre settlement funding companies are forced to write off that non-recourse debt. Pre settlement funding really is a no risk way to get money now instead of much later. Why Do Pre Settlement Funding Companies Exist? In the past, plaintiffs awaiting the outcome of their case had no place to turn for help. Banks will not provide a loan using a lawsuit case as collateral. Today, however, plaintiffs can take advantage of pre settlement funding companies as a means to help them keep their head above water until their case settles. Who Should Apply For Pre Settlement Funding? Anyone who is involved in a pending lawsuit, represented by an attorney, and needs cash before their case is settled or won is eligible to apply for pre settlement funding. Every funding company is different, however Multi Funding USA can provide pre settlement funding for many plaintiff lawsuit funding case types. Multi Funding USA has already provided financial relief in the form of pre settlement funding to numerous individuals by securing for them the cash they need NOW to pay for medical bills, living expenses and attorney fees. Do you feel pressured to settle your case prematurely? Our funding options can relieve your financial burden while your case is still pending, allowing your attorney the time necessary to negotiate the settlement that you deserve. Your personal credit is irrelevant when getting pre settlement funding; in fact, we don’t even check your credit! Our lawsuit funding can provide you with anywhere from $500.00 to $500,000.00 and there are no restrictions on the use of this cash. It is your money to spend as you wish! You can pay living expenses, medical expenses, tuition for you or your children, start a business, or spend it on whatever you deem necessary for you and your family. Plus, we can get you approved and funded in as little as 24 hours! Our goal is to get you the cash you need NOW. It’s fast and simple. Once your information is received, we will do everything for you to process your pre settlement funding request. 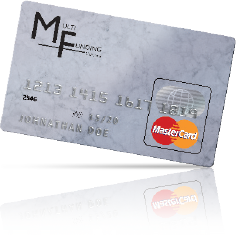 Upon approval of your request we will quickly mail or wire your cash. We do all the work! It’s really simple to find out if you can get pre settlement funding. Just call us today at 1-866-957-8880 24 hours 7 days a week for a no risk, no obligation review of your case. And if you don’t want to call, you can fill out the short form on the right side of this page and submit it. One of our representatives will contact you to review your funding request. With all that pre settlement funding can offer you in terms of benefits… is there any reason you can think of to NOT take advantage of this incredible service? Make your financial troubles go away within 24 hours by simply calling 1-866-957-8880 or by filling out the short form on the right 24 hours 7 days a week for a no risk, no obligation review of your pre settlement funding requirements. It will be one of the best decisions you’ve ever made!